Lauren Oliver's riveting, original digital story set in the world of her New York Times bestseller Delirium. The summer before they're supposed to be cured of the ability to love, best friends Lena and Hana begin to drift apart. While Lena shies away from underground music and parties with boys, Hana jumps at her last chance to experience the forbidden. For her, the summer is full of wild music, dancing--and even her first kiss. But on the surface, Hana must be a model of perfect behavior. She meets her approved match, Fred Hargrove, and glimpses the safe, comfortable life she'll have with him once they marry. As the date for her cure draws ever closer, Hana desperately misses Lena, wonders how it feels to truly be in love, and is simultaneously terrified of rebelling and of falling into line. In this digital story that will appeal to fans of Delirium and welcome new admirers to its world, readers will come to understand scenes from Delirium through Hana's perspective. 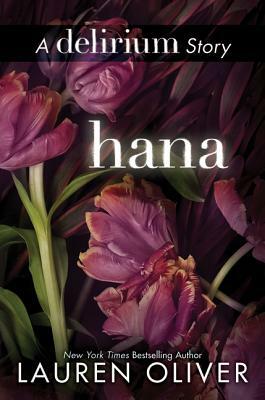 Hana is a touching and revealing look at a life-changing and tumultuous summer.